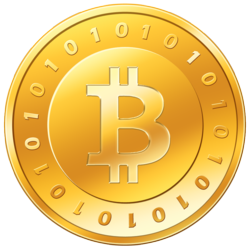 BitcoinMiningHardware.co is dedicated to bring the top Bitcoin mining hardware, comparisons, charts, software, clock, exchange rate, and news for Bitcoin miners. For now what BitcoinMiningHardware.co will do is bring together present Bitcoin Mining Hardware and allow users to compare as well as offer a comparison for each. Today BitcoinMiningHardware.co launches a new site dedicated to Bitcoin mining hardware for Bitcoin miners. This new site will focus on hardware and software along with offer comparisons, charts, clock, exchange rate, and news for Bitcoin miners. "The processing of Bitcoin transactions is secured by servers called Bitcoin miners. These servers communicate over an internet-based network and confirm transactions by adding them to a ledger which is updated and archived periodically using peer-to-peer file sharing technology." According to Wikipedia.org, "In addition to archiving transactions, each new ledger update creates some newly minted Bitcoins. The number of new Bitcoins created in each update is halved every 4 years until the year 2140 when this number will round down to zero. At that time no more Bitcoins will be added into circulation and the total number of Bitcoins will have reached a maximum of 21 million Bitcoins." For now what BitcoinMiningHardware.co will do is bring together present Bitcoin Mining Hardware and allow users to compare as well as offer a comparison for each. Filling the void of a place those looking to purchase hardware will need when selecting a reputable establishment. To learn more please visit http://bitcoinmininghardware.co/.